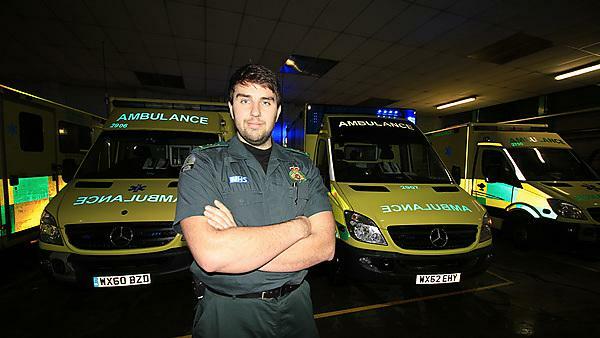 Benjamin Watts talks to us about placements, juggling university work and shifts, and working on the front line as a paramedic. I started working full-time as a paramedic in June, initially as a relief paramedic (working at multiple stations to fill gaps) before taking a “line” at Torquay ambulance station in November. So far, I have dealt with a number of major traumas, cardiac arrests, and complex medical cases; however, often the more difficult incidents are those which are not clear-cut as to the optimum management plan. Work hard, read lots, and never forget why you want to be a paramedic. Helping people at often the lowest point in their lives is a privilege and the most rewarding feeling; however, sometimes we can become bogged down in the academia of medicine and forget to make human contact with people. Hold a patient’s hand, smile, and when things are going wrong take a deep breath and start with the basics. My course was vocational and so I spent three years in and out of placement. This could, at times, be intense; a fine balancing act between shifts on an ambulance, commuting, university work, and sleeping. The experience was vital and the range of extra hospital placements really complimented the work completed at university. The one thing I did notice is that not everyone had the same experience of placements, and this appeared to be down to how much effort an individual was willing to put in. It’s your placement and you make it what it is! Meeting great friends, some great lecturers, easy access to beaches, moors, rivers, and adventure! There were some great mentors on placement and it provided a great learning platform. I have been a guest lecture for second year students and I still see and work with other Plymouth graduates, as well as lecturers. Plymouth is a great university for paramedic sciences and it is an ever developing and improving course. The lecturing team are dynamic and innovative, creating an interesting learning environment, and providing a great platform to become a successful paramedic. Work hard, reference as you go, embrace all opportunities, play hard, and explore Devon because it’s a great place to live and study! For more information about studying paramedics please visit our BSc (Hons) Paramedic Practitioner page. For more information about our range of courses within the School of Health Professions, please visit the school page.